Yard Illumination is an authorized dealer for the Sparkle Magic Illuminator Laser Lights. 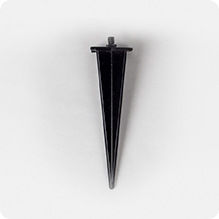 Above, you will find all of the accessories necessary to design, personalize and set up your own unique outdoor space. 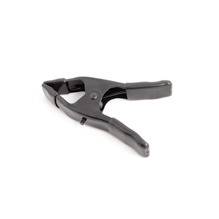 From clamps to power cords, Yard Illumination offers what you need to utilize your Illuminator laser lights at the best prices. Order Sparkle Magic Illuminator Laser Lights and take advantage of our Free shipping on orders over $99.00! 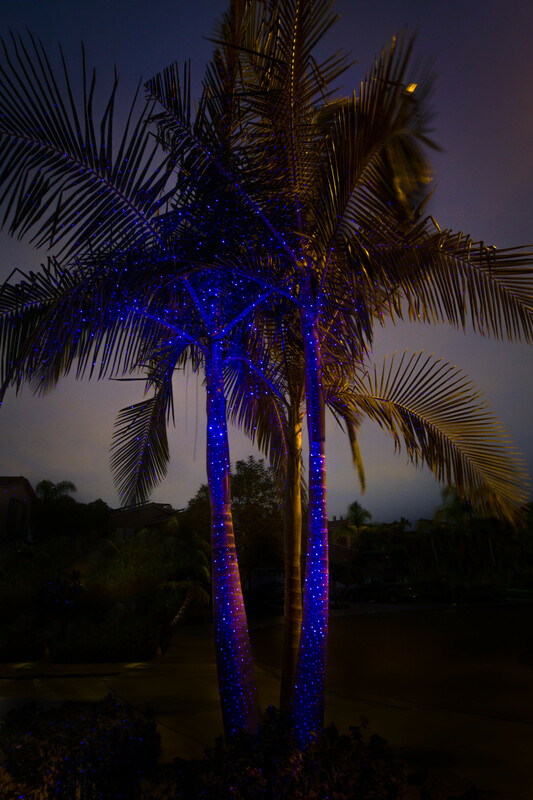 Discover why professional lighting designers and installers use Sparkle Magic Illuminator Laser Lights to create spectacular outdoor and indoor lighting effects for landscape lighting, homes and estates, parties or special event venues. 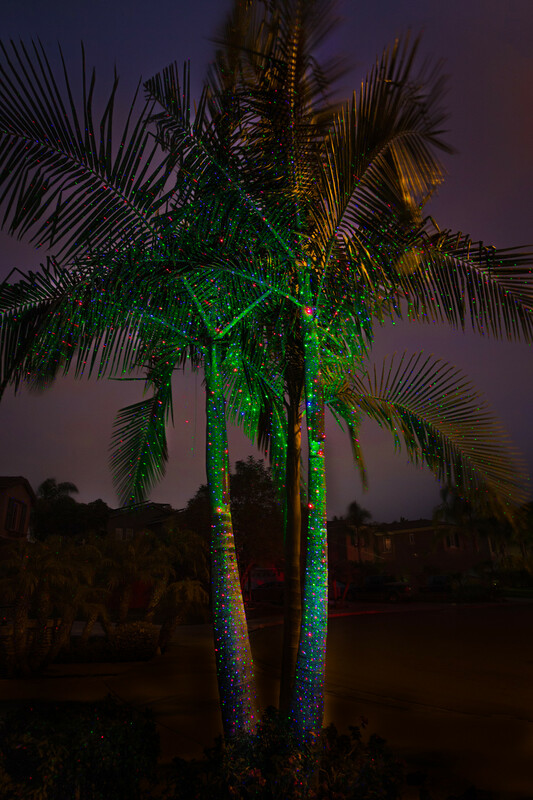 Holiday and Christmas lighting installation has never been quicker and easier, using our Sparkle Magic Illuminator Lights. We have red lasers lights, green laser lights and blue laser lights that create a truly sparkle lights magic. 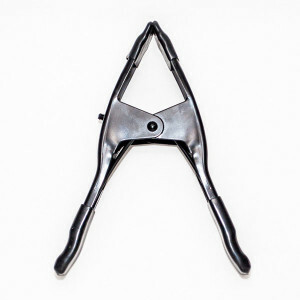 When it comes to choosing between laser lights versus LED lights, lasers lights win hands down. 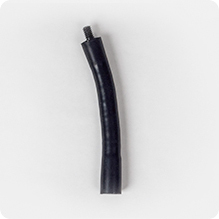 Lasers lights are brighter than LED lights, lasers lights use less power and are more energy efficient than LED lights, and laser lights are so much quicker and easier to install compared to LED lights. 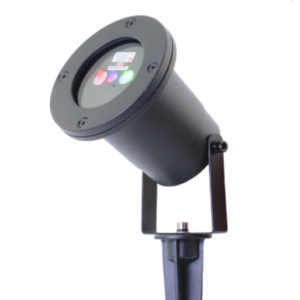 Using Sparkle Magic Illuminator lights for exterior outdoor landscape lighting design and installation projects offers many advantages. Out of the box, Sparkle Magic Lasers can be tied in directly to your existing 12 volt, low voltage landscape lighting system, or the Sparkle Magic Lasers can be powered by standard 110-volt to 120-volt household current. 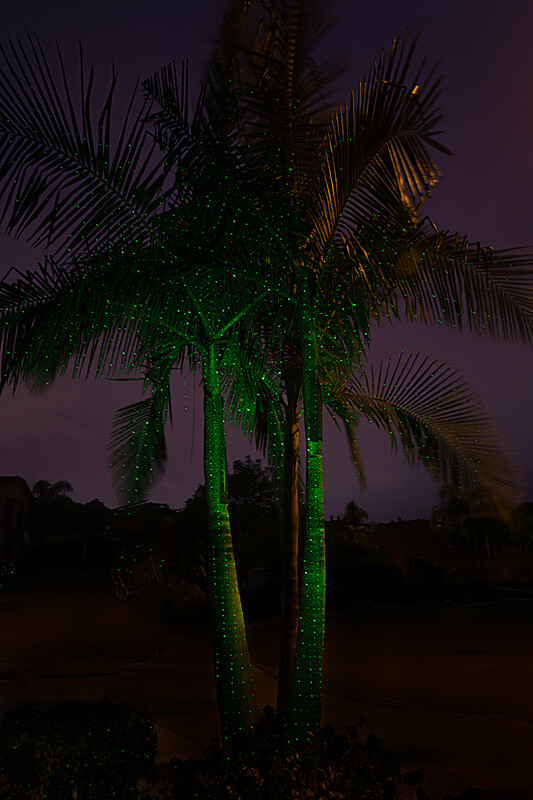 Our red laser, green laser and blue laser are all commercial grade laser lights and are designed for both temporary or permanent outdoor use, as well as use in wet conditions such as rain water, sprinkler water exposure. 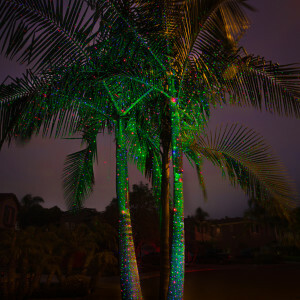 Using laser lights to illuminate trees offers the advantage of casting thousands of sparkle lights on trees that are very tall, hard to reach, or even impossible to reach using traditional lighting methods. 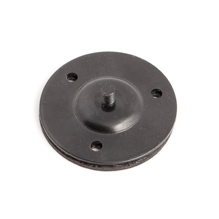 You no longer have to climb ladders to hang lights, such as you must do when installing LED lights in tall or hard to access trees. 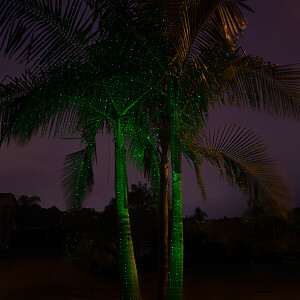 Wait till you see your favorite tree in you yard lit up with a Sparkle Magic Illuminator Laser Light. 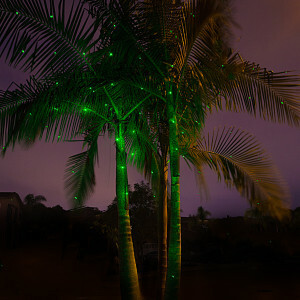 When the slightest breeze starts to move through the leaves, illuminated with thousands of points of laser lights, you get a magical firefly effect as the leaves shimmer with sparkle lights. 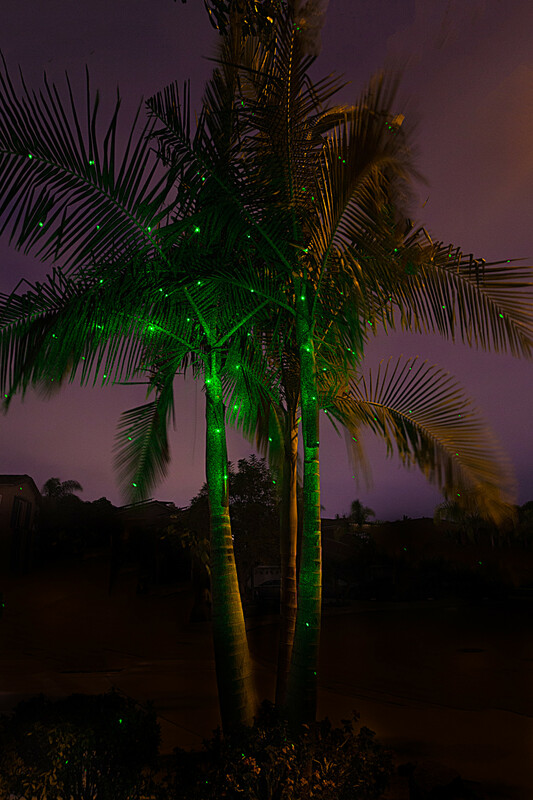 Lighting up your yard and home with red lasers, green lasers or blue lasers will create such a beautiful and spectacular atmosphere. 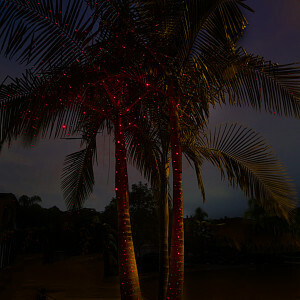 Use Sparkle Magic Illuminator lights for parties, barbecues, holidays and other special festivities and social events. 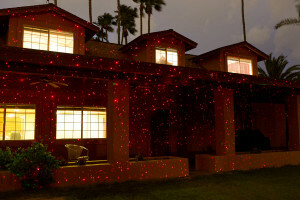 Just one single laser light can easily cover a 25 square foot area. 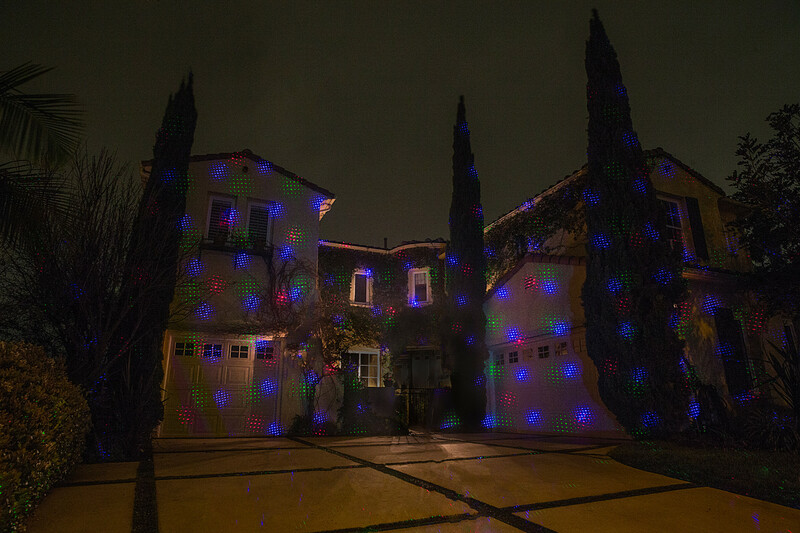 Using one, two or three lasers can completely bathe your house in thousands of points of light that will amaze you. You don’t have to wait for special occasions of holidays to use Sparkle magic illuminator lights. You can use them in permanent landscape installations to up-light palm trees, eucalyptus trees, jacaranda trees, pine trees, and the list goes on.